The historic festival is held in the tiny Tuscan town of Montepulciano on the last August Sunday. The contest named Bravio delle Botti culminates the feast. The race starts only in the evening; colorful ceremonies, festive dinner, and historic parade with standard bearers and drummers precede it. The bell rings at 19 00 to start the competition. Eight old town districts (Cagnano, Collazzi, Coste, Gracciano, Poggiolo, San Donato, Talosa, Voltaia) take part in the contest of Bravio delle Botti. Competitors face a challenge to roll wine barrels along twisting streets of Montepulciano located on a high hill. The 1650–meter rout ends by the Cathedral on Piazza Grande Square. Two district representatives push a barrel which weighs about 80 kilos. Not only sharp climbs, but also narrow medieval streets make the task even more difficult. As soon as the winning district is awarded with the traditional prize, all participants and the audience of the contest celebrate the victory at the festive dinner which ends late at night. The competition dates back to the XIV century. The word «Bravìo» originated from the colloquial «Bravium». That’s the name of the prize which is an expensive picture of the patron saint of the city, John the Baptist. At that time, the prize was given for winning horse competition. The races were abolished in the XVII century. 1974 brought new birth to the feast when a local priest got an idea to hold competitions using wine barrels. It’s difficult to find a better symbol of the contest as the town is located in one of the wine producing areas of Italy, and is famous all over the world for the brand «Vino Nobile Di Montepulciano». Everywhere you go in Montepulciano you come across various cafes and bars where you can try well known and not so well known food of local vineyards. The medieval festival is a very good reason to combine acquaintance with wines, cuisine and traditions of Montepulciano in one trip. Montepulciano is an old Tuscan town, which is justly considered to be “the pearl of the XVI century”. It appeared much earlier, but has preserved its medieval look. 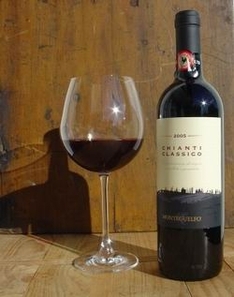 Chianti Classico, Brunello di Montalcino, Vino Nobile di Montepulciano, Vernaccia di San Gimignano - this is not a complete list of the Tuscan wines. In order to get acquainted with the variety of local wines best of all would be to take one of the 14 so called "wine roads". The most famous is "Via Chiantigniana". Multiple trattorias and wineries are always glad to welcome all the visitors.